Debra Majeed sheds light on families whose form and function conflict with U.S. civil law. Polygynyâ€”multiple-wife marriageâ€”has steadily emerged as an alternative to the low numbers of marriageable African American men and the high number of female-led households in black America. This book features the voices of women who welcome polygyny, oppose it, acquiesce to it, or even negotiate power in its practices. 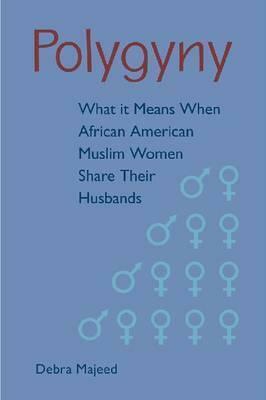 Majeed examines the choices available to African American Muslim women who are considering polygyny or who are living it. She calls attention to the ways in which interpretations of Islamâ€™s primary sources are authorized or legitimated to regulate the rights of Muslim women. Highlighting the legal, emotional, and communal implications of polygyny, Majeed encourages Muslim communities to develop formal measures that ensure the welfare of women and children who are otherwise not recognized by the state.